Not a Club? Need General Training? Occupational Safety & Health Administration (OSHA) standards are applicable to golf & country club operations. 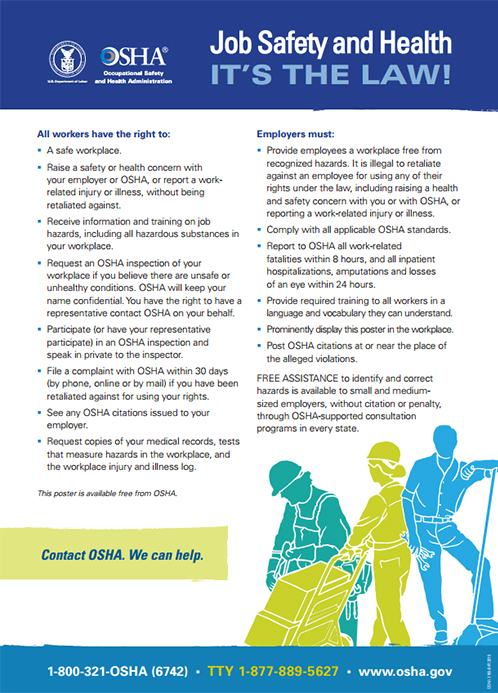 OSHA requires the OSHA Job Safety & Health: It's the Law poster be displayed. This poster is always free of charge from OSHA. Printed copies of the poster must be at least 8.5" x 14" inches with at least 10 point font, and displayed in a conspicuous area, such as a breakroom. Over 3 million non-fatal recordable injuries. Nearly 1 million injuries involving days away from work. Sprains, strains, tears are the number one cited reason for days away. Slips, trips, and falls takes the number two spot. Prevention is cheaper. (a) Each Employer— "(1) shall furnish to each of his employees employment and a place of employment which are free from recognized hazards that are causing or are likely to cause death or serious physical harm to his employees; (2) shall comply with occupational safety and health standards promulgated under this Act. OSHA was created as part of the Occupational Safety and Health Act of 1970 (OSH Act) to set and enforce workplace safety standards. OSHA is part of the U.S. Department of Labor. Federal OSHA covers most private sector, and some public sector, employers and their workers in all 50 states and other U.S. jurisdictions. Some states have OSHA-approved programs (e.g., California OSHA or "Cal-OSHA") that are state run and must be as effective or better than the Federal OSHA program. OSHA requires written programs and recordkeeping for all businesses. Only businesses with 10 or fewer employees are exempt from recordkeeping and many formal written programs. Certain partially exempt industries in the "low-risk" category are exempt from recordkeeping. No employer within OSHA jurisdiction, regardless of size, is exempt from compliance with the OSHA standards. Required. Employee training and a written programs are required. Globally harmonized system (GHS) of labeling and classification of hazardous chemicals introduced. Pesticides are not covered under the OSHA HCS, despite the classification of hazardous. The EPA enforces laws concerning pesticide labeling classification and usage. Required. All employers must keep incident logs that tracks information that is equivalent to or better than the information required in the OSHA 300 Log. Required. All employers must report (1) All work-related fatalities within 8 hours. (2) All work-related inpatient hospitalizations, all amputations and all losses of an eye within 24 hours. OSHA 300 Log. Required. All employers must train affected employees on the PPE they must use for the job. 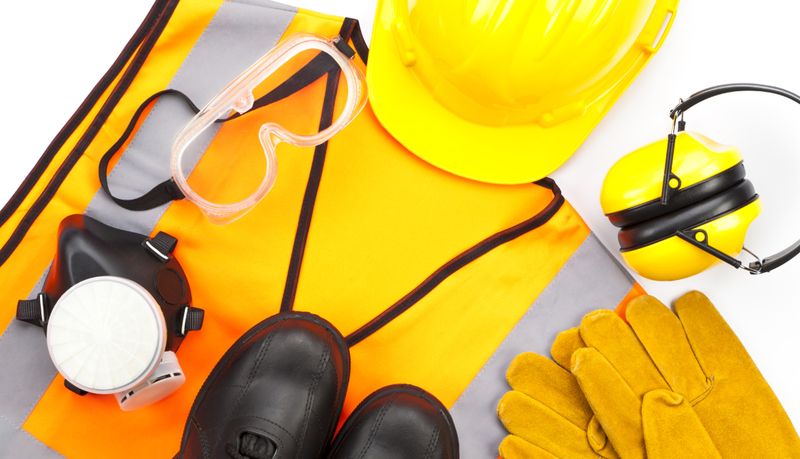 Employers must provide employees, free of charge, with adequate PPE for the job. © Club Learning Institute 2007-2019. All rights reserved.